Time flew really quickly and Benefit have successfully opened six stand-alone boutiques in Malaysia. It feels like it was just yesterday when I attended their first ever boutique launch in 1 Utama, I'm so happy they are opening more boutiques so we can enjoy the full Benefit experience in a stand-alone store. The fun-filled party kicked off with a ribbon-cutting ceremony by the VIPs and celebrities such as Patricia K, Pamela Chong, Vanessa Chong, Amanda Imani and Nadiya Nisaa. The benefans was also treated to a live showcase by YouTube Beauty Guru - Jasmine Tam, featuring Benefit's latest Swarovski crystal service - Bling Brow! 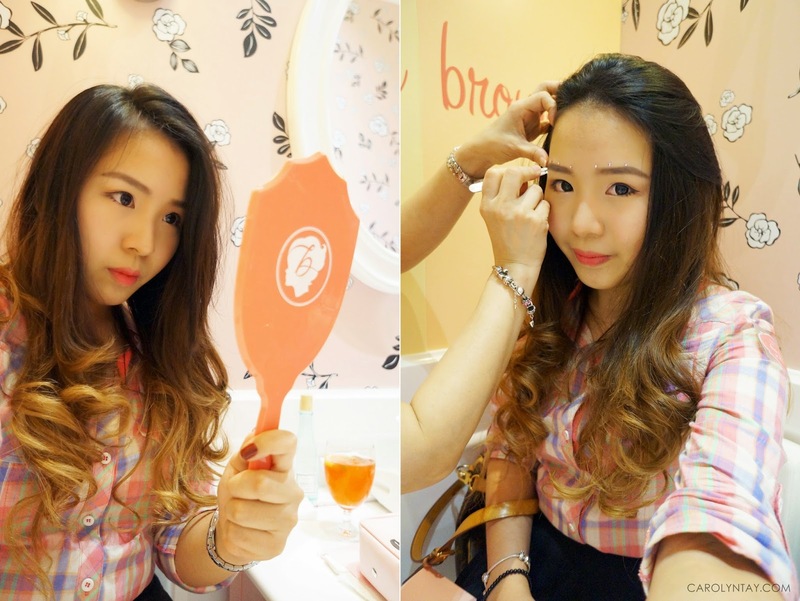 The Benefit boutique is the destination for tips and tricks, on-the-spot "make-uppers", brow services and petty parties. Aside from their Brow services, Benefits also offers a range of other services and instant beauty solutions to make up your day(no appointment needed!). You can drop by and experience the Benefit cosmetics with friendly assistants and learn make up tips from the well-trained pros! I got to try on the Bling brow services on the spot by Amy and I cannot believed it was done so professionally and quickly! The Swarovski crystal can be used multiple times, you do have to store them properly. 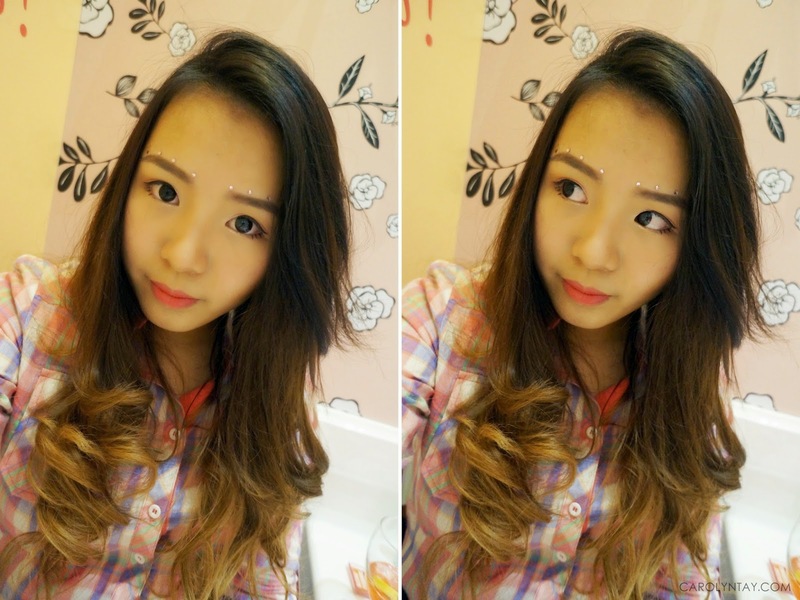 Another tip given by Jasmine Tam is you can use eyelash glue to stick them on if they are not that sticky anymore! Over the top bling with light pink crystals to suit my outfit. You can also find Benefit Cosmetics in all Sephora Nationwide.